It was started by Damaris and Marco Trentacoste, who are passionate for Jesus. They need seed money to fund a new space for their ministry. They opened a room near the central station of Palermo, mostly attended by immigrant children, where they need almost everything. A projector, computer, air conditioner (that is both a heater and air conditioner in Italy), tables, chairs, aids for the display of biblical stories along with basic teaching materials and supplies. La Bussola is a play and educational space entirely and exclusively dedicated to children and teenagers. They have one objective, expose an understanding of biblical principles and the message of salvation. The opening of this space allows them to get in touch with hundreds of children and their families and be a consistent point of contact for them. Can you help in the purchase of these much needed supplies to help spread the gospel to immigrants in Italy? 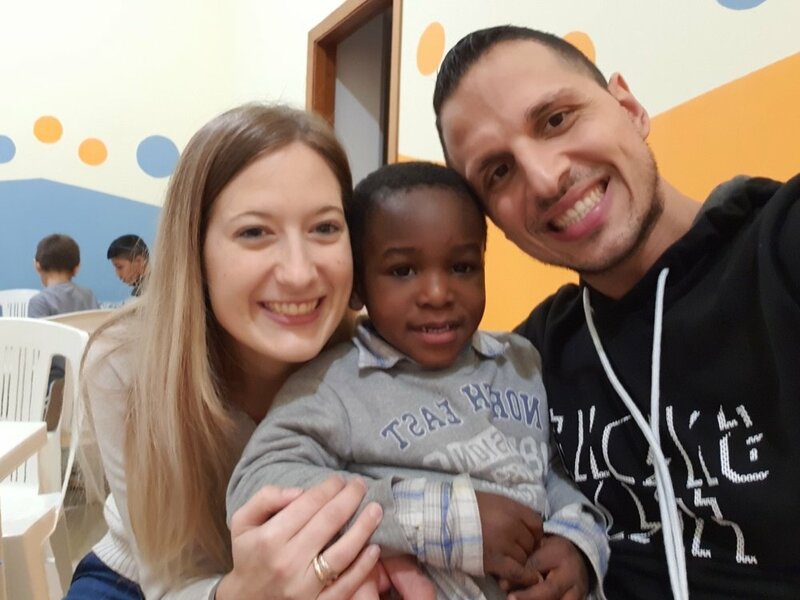 Damaris and Marco Trentacoste are sharing the love of Christ with children of unbelievers. Many are refugees who daily, through various activities, listen to the word of God. Learn more about Damaris and Marco on their website and FaceBook page. Like Us on Facebook! Support GapFillorg when shoppng at Amazon!